All have been accused of being Russian agents. Butina is facing five years in an American jail if she is convicted of spying. Her lawyer maintains she broke no laws while in the US. The only thing she seems "guilty" of is networking with various social and political groups — and of being Russian. The two men mentioned, fortunately, made it back to Russia before British authorities incarcerated them too on false charges. Petrov and Boshirov have been charged in absentia by British police in connection with the apparent poison-attack on a former Russian spy living in Salisbury. The British government accused the two men of being assassins belonging to Russian military intelligence, GRU. The basis for accusation is the pair were filmed by public CCTV cameras being in Salisbury town on the weekend that ex-spy Sergei Skripal and his daughter were allegedly poisoned with a nerve agent. This week, Petrov and Boshirov came forward to allow an interview with RT and Sputnik's editor-in-chief Margarita Simonyan. The two friends said they are not members of the GRU, and that they visited England for a weekend leisure break as tourists. They denied having anything to do with the Skripal incident, saying they didn't know of him at the time of their visit. Skripal's name hit international headlines after they returned to Russia when the British government issued sensational claims that the Kremlin had tried to assassinate the former spy with Novichok nerve poison. 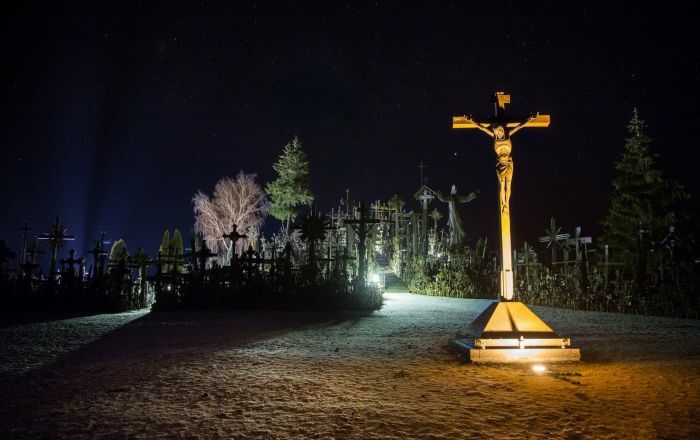 If Petrov and Boshirov are telling the truth — and their interview suggests they are — then the British authorities are caught out on spectacular lies. The men are not Kremlin agents, as the British claim. They did not possess Novichok nor any other toxic substance while in England. Yet the British authorities claim the hotel room where the men stayed had traces of Novichok. Their names are not aliases, as the British also claimed. They are genuine Russian civilians who happened to be in England at the same time the Skripals became ill.
We still don't really know how the Skripals were stricken. Was it really a nerve agent? We only have the British government's word for it, which is not reliable. The British appear to have detained the Skripals in an unknown location — six months after the Salisbury incident. How bizarre is that? 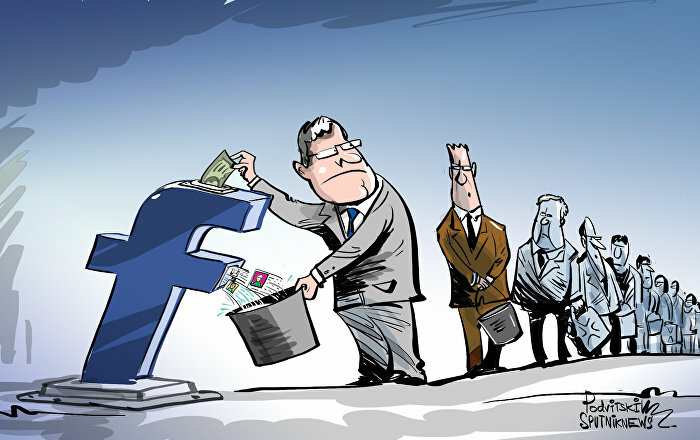 READ MORE: Are American Employers Illegally Discriminating Against Russians? Another key point is the inexplicable CCTV images of Petrov and Boshirov showing them separately in a corridor at London's Gatwick airport apparently at exactly the same time. But the men said they were together at all times during their arrival. Further, it seems strange that so many CCTV images were made available by British police of the pair while in Salisbury, yet as former ambassador Craig Murray astutely points out, there are no images of the Skripals who were criss-crossing the town at around the same time. 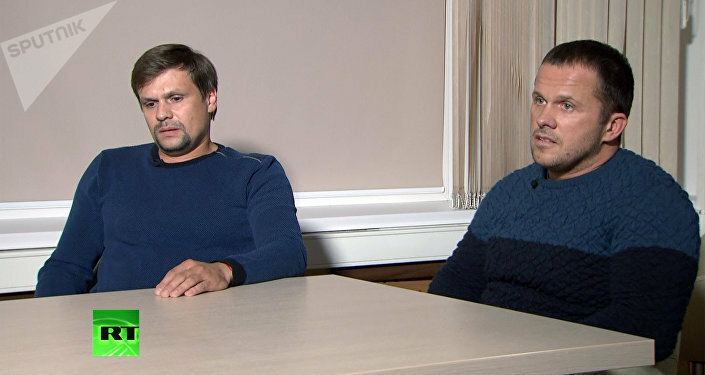 Petrov and Boshirov say they went to Salisbury to visit world-renowned medieval tourist sites. They couldn't reach Stonehenge because of atrocious weather and disrupted public transport. Those circumstances are a matter of record. Salisbury, its 12th century cathedral, and nearby Stonehenge, attract millions of tourists every year, among them many Russian nationals. It is therefore plausible that the two men are telling the truth. What is also plausible is that the British government is so desperate to incriminate Russia for propaganda purposes that all reason and due legal process have been utterly abandoned. The British have cast a verdict of Russian culpability in the Skripal affair, and the whole process since has been about finding "evidence" to fit the policy. This is reminiscent of the infamous Weapons of Mass Destruction (WMD) allegations against Iraq in early 2003, when then British Prime Minister Tony Blair fabricated "facts" to fit a policy of waging war against Saddam Hussein, to ingratiate Britain with the American GW Bush administration. It turned out that Iraq did not have any WMDs, even though a war was launched, killing over one million people, with horrendous consequences reverberating to this day. It seems reasonable to posit that the British jumped to a reckless conclusion that Sergei Skripal and his daughter were poisoned on the orders of Russian President Vladimir Putin, as a way to further demonize the Russian Federation. The information war has been going on intensely for the past four years since the Ukraine crisis. Western allegations of Russia's annexation of Crimea, covert invasion of Eastern Ukraine, shooting down a Malaysian airliner, and doping of Olympic athletes, interference in elections, and so on, are just some of the propaganda memes that the US and Britain, in particular, have promoted. The British have very enthusiastically pushed the meme of Putin and the Kremlin allegedly assassinating exiled Russians living in Britain. There is in fact evidence that the British themselves are running a covert assassination campaign against Russian exiles for precisely the purpose of smearing the Kremlin. In any case, the Skripal affair gave the British another opportunity for a propaganda coup against Russia. A traitorous Russian spy falls ill (and he may have been poisoned by British secret services), and the knee-jerk response is to "blame Putin". Of course, the supine British media lend a helping hand by amplifying the accusations against Russia instead of probing the huge anomalies in the official story. The next requirement for the British authorities is to find a semblance of evidence to fit their anti-Russia conclusion. How easy it would be to sift through CCTV footage of Salisbury and come up with two Russian men who can then be labeled "Kremlin assassins". The whole dirty trick relies on a crucial psychological condition: Russophobia. Shamefully, the American and British governments and their dutiful news media have inculcated Russophobia into the public mind from relentless denigration of Russia and its political leadership. No evidence is ever presented to substantiate the claims, but it has become almost a doctrinal "truth" that Russia is interfering in US elections, subverting Western democracy, endeavoring to sow division within NATO states and between allies, threatening to invade Europe, and so on. The efficacy of propaganda is that large numbers of people begin to accept outlandish assertions as if they are fact. The corollary of this mindset is paranoia and suspicion towards Russia and Russians. The World Cup was an important counter to the mindset. Nevertheless, that was against a tsunami of Western propaganda demonizing Russia. This anti-Russia mindset indoctrinated by the US and British, but also by pro-Atlanticist European politicians and media, is crass. It is a mindset leading to war. When Western authorities start criminalizing innocent Russian civilians simply on the basis of their nationality — "open season on all Russians" — then we know that the Western public is being conditioned to accept the unacceptable nefarious logical conclusion of such thinking — war.